The poem very naturally leads into a discussion of the fate of the Earth when our sun dies. And, since a recent news story picked up on some new research regarding the Earth's fate, I thought I might as well use the poem myself for an easy-to-write blog post. The sun is the key to all life on Earth. It provides us with energy, with warmth, and even with protection from some dangerous cosmic radiation. Every day we see the sun rise, every day we see it set, and for eons, it seems that the sun has not changed. Astronomically speaking, this view is almost correct. The sun does change slightly from year to year due to its sunspot cycle, but its brightness is amazingly constant. This is good for life on Earth -- if the sun were to get much brighter or much fainter, we would experience drastic climate changes. The source of the sun's constancy is its nuclear furnace, buried deep in the core of the sun. Here nuclear fusion is going on, as the sun burns its giant supply of hydrogen into helium. (We've actually detected subatomic particles from these fusion reactions called neutrinos; in 2002 Raymond Davis and Masatoshi Koshiba were awarded the Nobel Prize in Physics for discovering neutrinos coming from the sun). The sun has enough hydrogen to power itself for nearly ten billion years, and the sun has only been shining for about 4.6 billion years, so there's a long way for the sun to go! However, when the sun starts to run out of fuel, it begins to realize that there is a problem. Gravity will pull the helium ash from the sun's nuclear reaction inward, heating it up. And this extra heat will cause the sun's outer layers to swell up, past the orbit of Mercury and toward the orbit of Venus. As the sun's outermost layers swell outwards, they will cool, turning the sun from a soft yellow to a robust red color. The sun has become a red giant. The Earth will still be around, but the extreme brightness of the red giant sun will boil our oceans away and perhaps even melt the Earth's crust -- not a pleasant place to be! Eventually, gravity squeezes the helium enough that it ignites nuclear fusion, with three helium atoms burning to form one carbon atom. This new source of energy will keep the red giant sun (which actually will shrink a bit at this point) going for another billion years or so, but when it runs out of helium, the sun will swell up again, this time bloating out to Earth's orbit. And after a short time, the sun will blow off its outer layers, spewing half of its mass out into space, and leaving behind a white dwarf star. If the Earth survives, it will go from being hellishly hot to bitterly cold, as the feeble light of the white dwarf sun slowly fades away. So, what will happen to the Earth? The red giant sun will reach out beyond Earth's orbit, but the sun will also be losing a lot of mass. This reduces its gravitational pull, allowing the Earth to move a little further away from the sun. Our best calculations put the Earth right on the edge of the red giant sun, with some people saying the Earth will be swallowed by the sun, and some saying the Earth will escape. Fire or ice? So, back to the news article. Two astronomers, Robert Smith of the University of Sussex and Klaus-Peter Schroeder of the University of Guanajuata, modeled the red giant Sun using some of the most up-to-date physics available. They also included some physics that they had previously neglected, such as the aerodynamic drag of the sun's atmosphere on the Earth. 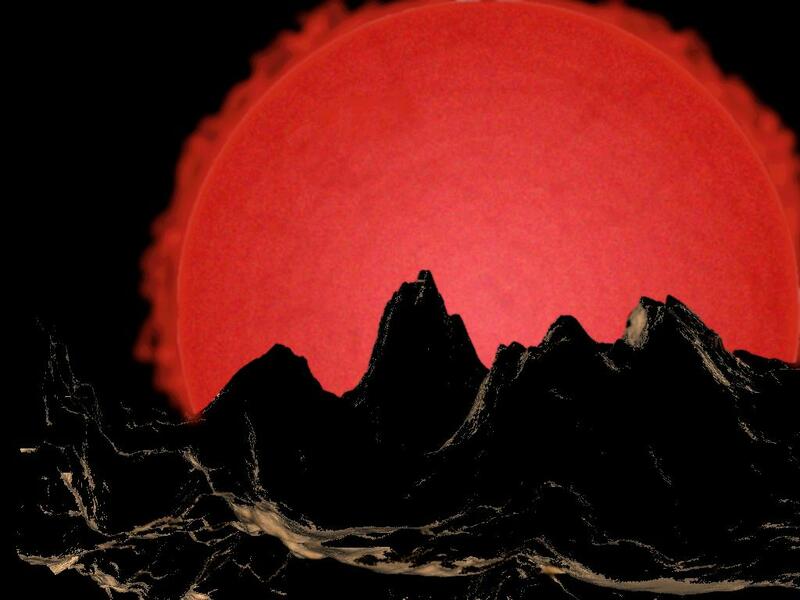 The result of their new calculations: the Earth will be swallowed by the red giant sun and vaporized. The Earth will end in fire. So, is this the final word on the subject? I don't think so. Although these models are some of the most sophisticated yet used to determine the fate of the Earth, there are some things we still don't fully understand about the death throes of stars. If the sun loses more mass than these models predict, the Earth may move far enough away from the red giant sun to avoid being swallowed. And we don't really know exactly how much material the sun will lose and when -- these details could make all the difference! I don't know about you, but I don't want the Earth to be swallowed by the sun, even though all life on Earth will have been extinct for a couple billion years. Call me sentimental. But, like any science, it doesn't matter how badly I want something, we have to let the facts speak for themselves. And, at least for now, the facts spell doom for our planet. Yesterday I mentioned that I am here at Kitt Peak outside of Tucson, Arizona, working on a project to image a large fraction of the sky. So, why are my collaborators and I trying to image 1/4 of the entire sky visible from Kitt Peak? The part of the sky we were looking at was imaged between 1999 and 2005 as part of the Sloan Digital Sky Survey, which mapped a large fraction of the Northern Hemisphere sky in five colors. So, at first glance it may sound silly that we are getting new images of part of the sky that was just mapped within the last decade. While the stars in the sky appear to be fixed, with constellations staying the same from year to year, generation to generation, and even millennium to millennium, all stars are slowly moving around the Milky Way galaxy. It takes stars like the sun 250 million years to orbit the Milky Way, so in a human lifetime, we don't cover much of that orbit! But, with precise measurements, it is possible to see that the stars are slowly moving in the sky. If you brought an ancient Greek to modern times, he or she would notice that a few bright stars have moved noticeably in 2300 years. But with more accurate measurements, we can use ground-based telescopes to measure changes in position as small as about one hundred thousandth of a degree, or about the size of a bacteria seen from 30 feet away. These star motions are called proper motions. The closer a star is to us, the larger its proper motion, on average. Some nearby stars can move quite a bit, as in the picture above, which shows one red dwarf star moving a large distance (still only the tiniest fraction of a degree!) 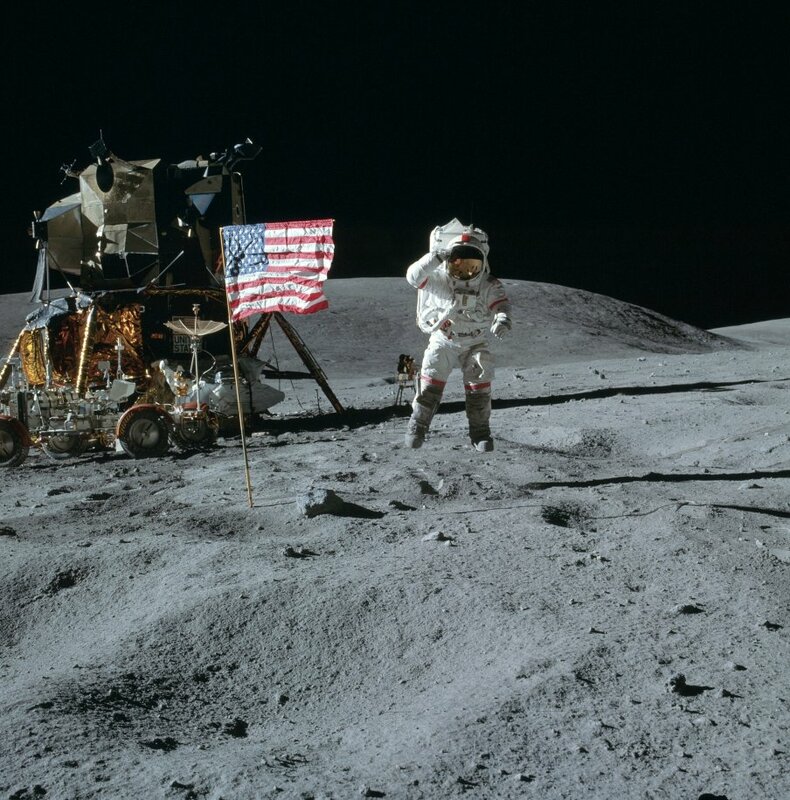 45 years, while the other stars appear to stay still. This particular star is only about 35 light-years away from the sun, while the other stars in the image are probably hundreds of light-years away. We are looking for the faintest white dwarfs, the remains of dead stars that are slowly cooling off and fading away. The faintest white dwarfs we can find are therefore some of the oldest stars in our Galaxy, and we hope to use these white dwarfs to tell us how old various parts of the galaxy are. 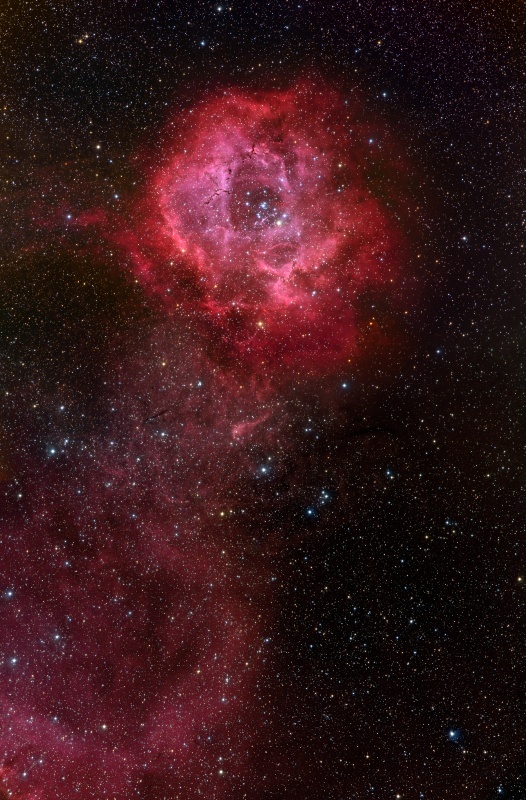 (If we know how faint they are and how fast these stars fade, we can estimate how old they are). Like the red dwarf in the picture above, faint white dwarfs tend to have relatively large proper motions. So, although only five years have passed since the first images were taken, the stars have moved enough that we can measure the movement. If we showed you most of the stars that have measured motions, you probably wouldn't believe it. The motions are very tiny, smaller than the spot size of the star. But my collaborators can still measure a slight shift in the center of that spot! So, that's why we're here -- searching 1/4 of the visible sky for maybe a fifty or a hundred of the oldest stars in our galaxy, out of millions of stars we'll be imaging. Hard? Yes! But the science result will be worth the work. This morning I woke up nice and early and flew to Tucson, Arizona. I am here for four nights on Kitt Peak, about 40 miles west of Tucson. I am using a camera called "90prime" (so-named because it is a camera on the 90-inch telescope at the "prime focus," or at the top of the telescope). 90prime can take pictures of large patches of the sky -- one square degree at a time, or four times the size of the full moon. As an example of what it can do, this picture of the Pinwheel Galaxy (Messier 33). We are in the middle of an ambitious project to take 5000 pictures with this camera, or nearly 1/4 of the entire sky visible from Kitt Peak! Tomorrow, I'll try and explain why we are doing this project. The ancient Greek epic "The Odyssey" follows the adventures of Odysseus (known in Latin as Ulysses), who wanders the Mediterranian for ten years after the Trojan War, trying to get home to his wife and son. Today, it was announced that the modern Ulysses, a spacecraft studying the sun, will soon fall silent and be doomed to wander the Solar System for aeons to come. Ulysses is a space probe studying the sun. It is unique in that it used Jupiter's gravity to get into an orbit that goes over the north and south poles of the sun. Without a little muscle from Jupiter, it isn't possible to launch a spacecraft into such an orbit -- all of our other solar probes orbit the sun at its equator, just as the Earth and all the planets do. Ulysses was launched by the space shuttle Discovery in 1990, and after an 18-month trip to Jupiter, began its mission. It takes Ulysses 6 years to orbit the sun once, and it is most of the way through its third trip around the sun. Since the sun goes through a cycle of activity every 11 years, Ulysses has seen one and a half complete solar cycles. The Ulysses mission was designed not to take pictures of the sun (we can do that from Earth! ), but to study the sun's radiation and wind and magnetic fields from vantage points that the Earth can never see. Ulysses has studied how the sun's wind and magnetic field vary from the equator to the poles, information we could only guess at before. We've learned that the solar wind (a stream of particles coming out of the sun) is much faster near the sun's poles, moving along at over 450 miles per second! Here at the sun's equator, the wind blows at a much slower 200 miles per second. Ulysses also found that the sun's magnetic field is not much stronger near the poles than at the equator; a simple magnetic field would be twice as strong at the poles. This tells us that the sun's magnetic field is quite complicated. And, among many other discoveries, Ulysses found that the sun's magnetic field is very good at protecting us from cosmic rays, powerful radiation from the Galaxy and beyond. no matter what direction they are coming from. Is there any saving Ulysses? No. Ulysses is powered by a radioactive power plant -- although the spacecraft is studying the sun, it is too far away from the sun for solar panels to work very well. In the power plant, radioactive fuel decays, creating heat that is converted to electricity. But as the fuel decays, the energy released steadily drops. Within the next month or two, the energy released will drop below the levels needed to keep the spacecraft pointed at the Earth. So, although Odysseus was able to find his way back home after 20 years abroad, the Ulysses spacecraft will never get to come home. It will soon fall silent, continuing to orbit the sun for ages to come. My congratulations to the Ulysses team on a long and successful mission! Yesterday morning, the space shuttle Atlantis landed after a 13-day mission to the International Space Station. The mission added a new science laboratory to the Space Station, and, more importantly, took the crew safely to space and back. Atlantis's next flight will be the next and final repair mission for the Hubble Space Telescope. The fifth servicing mission (called "Servicing Mission 4", because Servicing Mission 3 was split into two missions, and because, well, sometimes people just can't bring themselves to make sense) will fix up Hubble and allow it to live another 5 years or more. Hubble will get new batteries, new gyroscopes, new cameras, new pointing systems, and some other general repair work. Astronauts will also attach a docking port that will allow a future rocket to attach to the telescope to bring it down safely when its useful life is over. The trip may also mark Atlantis's last trip into space. Right now no future flights are scheduled for this shuttle, and it may be used for parts to keep Discovery and Endeavor flying until the shuttles are retired in 2010. But all of that can change. Most of us in the astronomical community are sitting on pins and needles, hoping that the mission is a success and is safe. 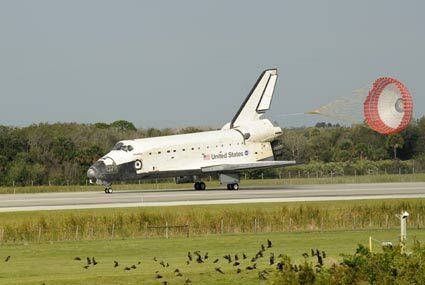 And, in the meantime, we cross our fingers for every shuttle launch, hoping for safe travels for our astronaut friends! Several news accounts suggest that the U.S. military is going to try and "shoot down" a non-functional spy satellite in the next few days. I think this is a dangerous idea, both from a scientific and a political standpoint. Last month, I blogged about how I thought the chance of the satellite endangering a human was small. I still think that is the case. Make no bones about it, the hydrazine fuel that is being used as a justification for shooting down the satellite is very nasty stuff. Hydrazine has properties that are great for rocket thruster fuel, but it is a very hazardous chemical. However, it is also quite volatile, which is why many people suspect the fuel tank on the satellite would not survive re-entry, but would explode due to the heat of re-entry. Even if the tank were to survive intact, the chances of it hitting a populated area are amazingly tiny. If NASA or the military were simply launching an operating thruster that could attach itself to the spy satellite and purposefully de-orbit the satellite into the ocean, I would have no qualms with the operation. We de-orbit satellites like this a lot, and an ocean splashdown would not only protect humans, but it would successfully hide any sensitive equipment that we do not want our enemies to have. But what it appears the military is doing is actually launching a missile to collide with the satellite. To some degree, this will also serve the purpose. The collision will slow the spy satellite, causing it to de-orbit. If the collision is timed properly, the satellite would fall safely into the ocean. However, if you've ever been in a car wreck, or seen wrecks on TV, you know what happens when two big things collide. Yes, the main bodies of the cars pretty much stop, but small pieces go flying in every direction, some at very high speed. Now, image that the collision is at thousands of miles per hour. The same thing will happen, with small pieces flying off at even faster speeds. In space, some of those pieces will stay in orbit, forming an ever-expanding cloud of debris. If some of the small chunks of debris, even something as small as a bolt that we cannot detect with radar, were to hit the space shuttle or space station, it could puncture the spacecraft and endanger the entire crew, not to mention millions of dollars of investments. Or, the debris can hit commercial satellites in low-earth orbit, including many different communications systems. Last year, the Chinese shot down one of their aging weather satellites to test anti-satellite capabilities. The resulting debris field now threatens satellites of every space-faring nation. The problem is worse than it looks. The more debris that is up in space, the more likely that some chunk of it will collide with another dead satellite that can't move out of the way. That collision creates more debris, increasing the likelihood of debris collisions, and threatening a runaway reaction that could clog the space near Earth with shrapnel and make low-Earth orbit too dangerous for satellites or people. I don't want to be too alarmist here -- we are unsure how much debris it takes for such a runaway to occur. Some scientists think we are near that point, others don't. If there is one saving grace, it is that most of the debris in low-Earth orbit will slowly fall out of orbit in the next several years. But if the debris is replenished at a rate faster than it falls, the problem slowly gets worse. In my opinion (and let me stress that this is an opinion; I have no information on this than what is in the news), this shoot-down is not as advertised. It is not an attempt to protect people from the fuel or other hazardous components of the satellite. It's not even an attempt to ensure that our enemies don't get their hands on the satellite. There are other ways of meeting these goals without creating an expanding field of sometimes-undetectable debris that threatens both our astronauts and our vital commercial satellites. No, I think the obvious purpose of this test is to demonstrate that the U.S. can shoot down satellites. We've proven this in the past -- both the U.S. and the Soviet Union performed several such tests through the mid-1980s. The technology required for a "shoot-down" doesn't really change, so I am skeptical that any test is necessary. In other words, we're just proving to other countries that may have recently shot down satellites that we can do the same (though we've proven that many times in the past), and at the same time we are risking setting off yet another space arms race, all the while endandering our astronauts and multi-million dollar investments in space hardware. The gain is small, and the risk is large. During the night of February 20, the Moon will pass into Earth's shadow, causing a total eclipse of the moon visible from the entire nighttime face of the Earth. Everyone in North and South America (except Hawaii) will be able to see the eclipse on Wednesday night, while people in Europe and Africa can see the eclipse Thursday morning. This total lunar eclipse is the third in a year, and the last total lunar eclipse until December 2010. So, if you have clear skies, go out and enjoy the view! Totality, or the period of time when the moon is completely within Earth's shadow, begins at 10:00pm Eastern Standard Time (7:00pm Pacific) and lasts for just over 50 minutes. During this time, the moon won't completely disappear, but will be a reddish color, as the lunar surface gets to view every sunset and sunrise on the Earth all at once! This eclipse could have some fairly bright copper colors as well, because the moon doesn't go that far into Earth's shadow. For about 2 hours on either side of totality, you can see the moon in partial eclipse, when part of the moon will be in Earth's shadow. Earth's shadow will have a noticeable curve to it. It is this curvature that proved to the ancient Greek astronomers that the Earth was round and not flat, because it didn't matter when they could see the eclipse -- the shadow was always round. You can imagine that, if the Earth were shaped like a Frisbee, sometimes the shadow would be round, and sometimes it would be long and thin, depending on exactly how the Frisbee was oriented with respect to the sun. The great thing about lunar eclipses is that you don't need any special equipment to see them. You don't need telescopes, or binoculars, or even a very dark sky. You just need a clear view of the sky in the direction of the moon! So, again, go out and look at tomorrow's eclipse. Enjoy the colors and the shapes of Earth's shadow, absolutely free of charge to anyone who wants to see. For more details of the eclipse, you can read articles at Sky & Telescope or from NASA's Eclipse Page. 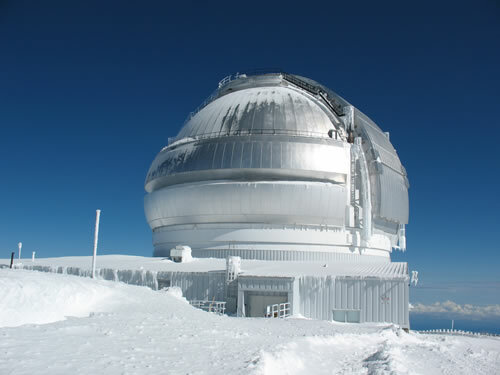 Last month I blogged about how a budget crisis in Britain forced our friends to withdraw their support from the Gemini Observatory, an international observatory consisting of two identical telescopes in Hawaii and in Chile. After the British governement announced their withdrawl, the Gemini board, per contract rules, suspended all astronomical observations that were scheduled for British colleagues (the current schedule runs through July). Further reviews on the state of science in Britain led the British government to question their own actions, and they began negotiations to try and prevent their partnership from ending completely. These negotiations have played out in public and have been difficult for both sides. The ultimate fate of Britain's participation in the Gemini Observatory probably has yet to be decided. In this political mess, it is our colleagues in Britain who have suffered. Their access to two of the larger telescopes in the world has been a crucial part to many astronomer's scientific plans and roadmaps. To have their projects terminated with little notice is, in my opinion, a rather rotten thing for the British government and the Gemini board to do. Yes, both institutions were acting within their rights as partners in the Gemini project, and the Gemini project's future has been thrown into turmoil by the British uncertainty, but it is the science that has suffered the most from this fiasco. 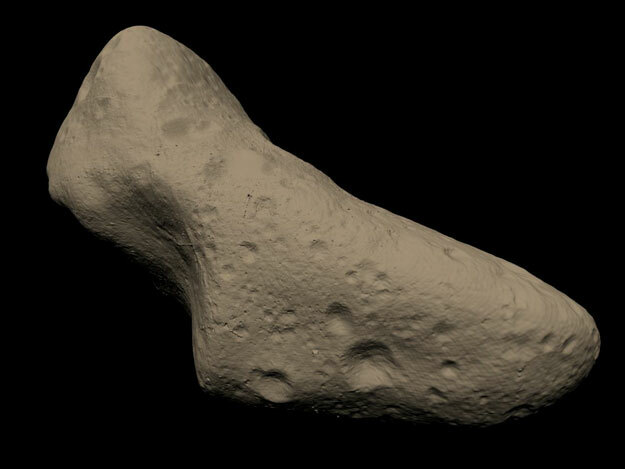 Last week, it was announced that existing, approved observing programs led by British scientists will be carried out. So, while the future of British science involvement in Gemini remains uncertain, most of the observations that British astronomers had been promised will be carried out. I think this is a good thing. It gives our British colleagues time to make contingency plans and find new telescopes to use. It also gives the British government and the Gemini board time to cool off a bit and enter serious, extended discussions about the future of British involvement in the Observatory. My hope is that all parties can find an amicable solution to the problem, and that future observatory partnerships can learn from the Gemini debacle. I just want to apologize for any missspelllings in my entries over the past few days, and any trouble you may have had in reading the blog. The Blogger service I use to write and publish the blog has been a bit flakey, and has both slowed down publishing and broken the spell checker (which I rely on far more than I should). Mars sends its greetings via the Mars Global Surveyor. The surface of Venus, taken by the Soviet Venera probe, which had to endure a descent through sulfuric acid clouds and temperatures hot enough to melt lead. Yesterday I returned from London, where I had been attending a conference hosted by the Royal Astronomical Society in London. Aside from the inevitable jet lag, it was a very enjoyable trip. I even experienced some nice weather, with sunshine and warm weather every day, which is especially surprising in early February. I expected cold and drizzle. The headquarters of the Royal Astronomical Society is located on Piccadilly, within walking distance of Buckingham Palace and the famous Piccadilly Circus. They share a building with several other societies: the Royal Acadamy of Arts, the Linnean Society of London, the Society of Antiquaries, the Royal Society of Chemistry and the Geological Society of London. In other words, it's a pretty academic area. After my meeting, I attended a general, joint meeting of the Royal Astronomical Society and the Geological Society. At the meeting, the Geological Society gave a summary of their concurrent meeting on the "Geophysics of Climate Change." There didn't seem to be any shocking results from this new meeting -- the Earth is definitely warming, and while the Earth has been warmer in the past (say, 50 million years ago), humans may soon find themselves on a planet warmer than our species has ever experienced. After that sobering assessment, I heard a brief talk by a former colleague who now works at the University of Heidelberg. And, lastly, I heard an address by the president of the Royal Astronomical Society, Michael Rowan-Robinson, who talked about his involvement over the years of measuring how fast the Universe is expanding, and his thoughts on modern cosmology. All in all, it was a great, though short, visit to London. Tomorrow, I'll talk about the science of the meeting I attended! I am in London for a meeting at the Royal Astronomical Society. I arrived here yesterday morning after a 9-hour plane ride. The flight was not too bad, as the plane wasn't crowded and the flight was on time. There was one unhappy baby in the row behind me, but thankfully he slept most of the way. On my arrival, I took a train from the airport to Victoria Station. My hotel was within walking distance, so I walked past Buckingham Palace to my hotel. My room was ready for me, so I took a shower and a short nap (just half an hour). And then I tried (and succeeded) to stay awake the rest of the day. I didn't do much exciting yesterday, as I don't trust myself not to get lost or mugged when I'm exhausted. I fell asleep at a pretty normal time, and then woke up wide awake at 4am. I managed to fall back asleep until my wakeup call, at which point I was exhausted and I couldn't get out of bed. But now I am awake and having some coffee before heading to the astronomy meeting. I hope to learn quite a bit today, if I can stay awake. Thats right, woodchuck-chuckers - it's GROUNDHOG DAY! Well, okay, Groundhog Day is tomorrow. But, as I won't be blogging tomorrow, I wanted to get a word in edgewise on this most noblest of astronomical holidays. For those of you who may live in a country not blessed with such a glorious holiday, let me explain the day. On February 2, the legendary groundhog, a furry woodland animal that looks exceptionally cute but is not always the most friendly of the beasts, awakens from its winter hibernation and sticks its head out of the ground. If the groundhog sees its shadow, it is spooked (not being among the most clever creatures) and runs back in its hole to sleep for another six weeks. If it doesn't see its shadow, it happily scampers about, and we get an early spring. Of course, this legend has little to do with reality. The fact is that, whether or not the groundhog sees its shadow, there are another six weeks of winter. Look at your calendar, count 6 1/2 weeks into the future, and you'll see the first day of spring. Now count backward 6 1/2 weeks, and you'll see the first day of winter. Groundhog Day is halfway between the winter solstice and the spring equinox. And that is not coincidence! These days halfway between an equinox and a solstice are called the cross-quarter days. They used to play a large role in pagan cultures (and still do among neo-pagan religions). We even have "holidays" on or near three of the four cross-quarter days: Groundhog Day, May Day, and Halloween. What does a cross-quarter day mean for us? Not too much -- most of the northern hemisphere is in the middle of a cold winter, hoping that spring will come soon, and the southern hemisphere is enjoying summer vacation, and hoping that summer lasts a little longer. Around now you will probably start to notice the days getting noticeably longer pretty quickly. Around the winter solstice, the length of the day stays pretty constant for a while, but as the Earth continues to speed around our sun, the sun will appear to rise higher in the sky (for those of us living in the north), the days will get longer, and, eventually, the temperatures will get a bit warmer. I make a big deal out of days like this, I realize. It's because the seasons are one of the most obvious links we have to the larger Universe around us, and one that most Americans don't understand. And it's a hard picture to grasp -- we are on a tiny ball of a planet that spins once a day and goes in circles around our parent sun once a year, which itself is orbiting the Milky Way galaxy every 250 million years, and our galaxy which is moving around our neighbor galaxies and slowly falling toward a cluster of galaxies 60 million light-years away. We're in constant motion, most of it extraordinarily slow by galactic standards. But we can sense some of it -- our planet's spinning, and its motion around the sun -- and these motions intimately affect our lives. Once we can grasp that, we've started to open our minds to a much larger universe around us.